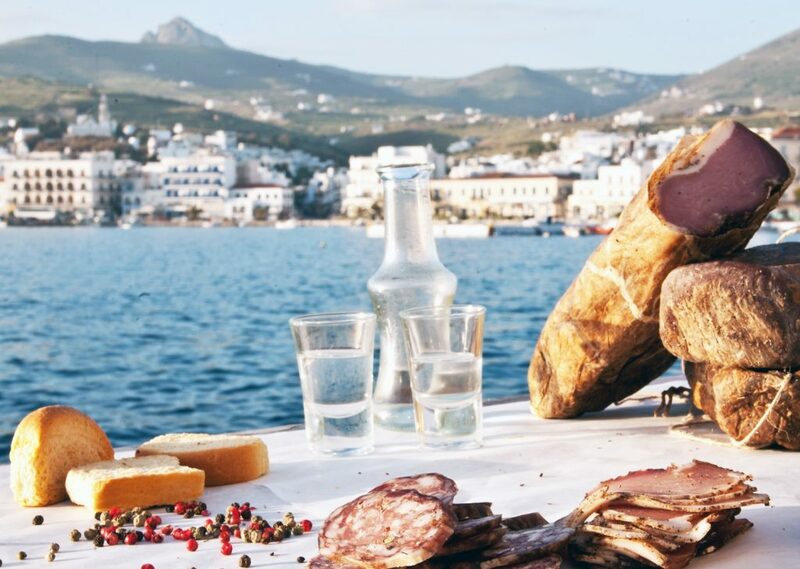 Tinos island, squeezed between the noble island of Andros and the glamorous, busy Mykonos, has always been for the Greeks the most sacred pilgrimage destination of the country while for the tourists just a boat stop on their way to Mykonos and Santorini. Nobody would think Tinos, though, as a travel destination. 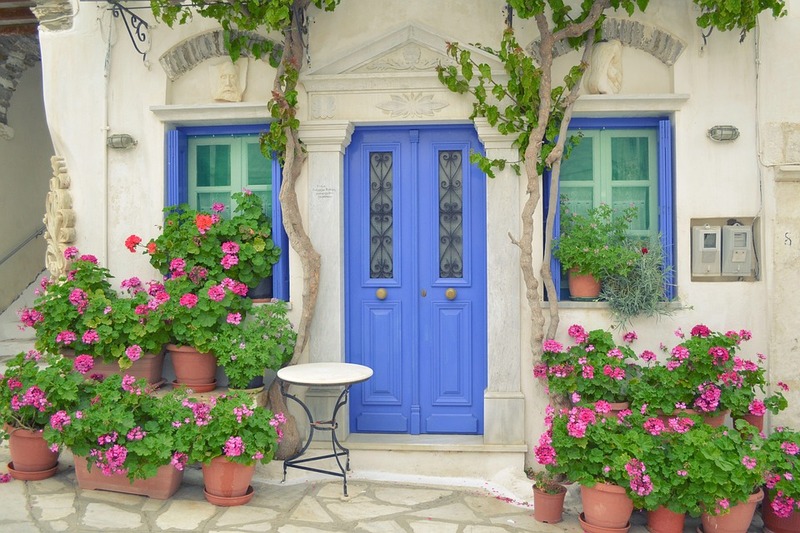 Today, the most curious travelers re-discover Tinos’ special character and elegant beauty. 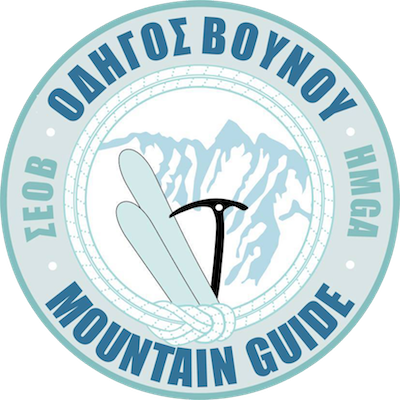 Almost all Greeks have been to Tinos once or they are planning to go so as to visit the church of Panayia Evangelistria and pray before the icon of the Virgin Mary credited with miraculous and healing powers. 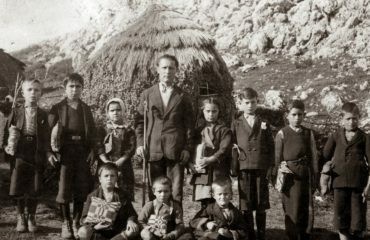 For a Cristian Orthodox Greek, a visit to the island is a lifetime goal. However, this visit is always short lasting from a few hours to two days the most and as it has a religious purpose, the pilgrims would stay around the church which is located in the main town near the port. 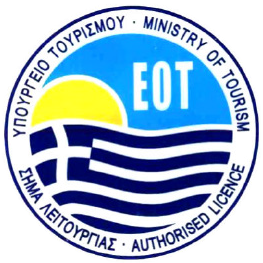 Big crowds visit Tinos every year but they do not proceed in the inland. 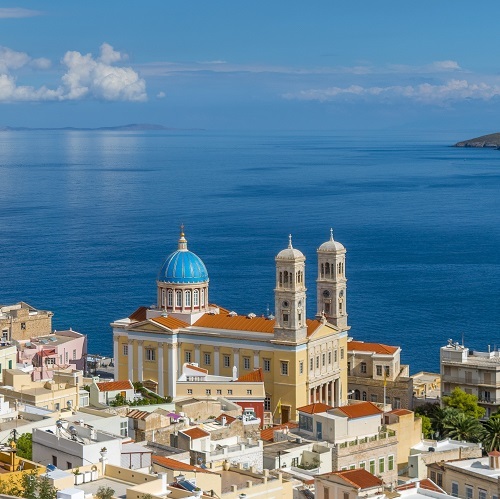 In our minds, Tinos has always been tied to the church and not with vacations. 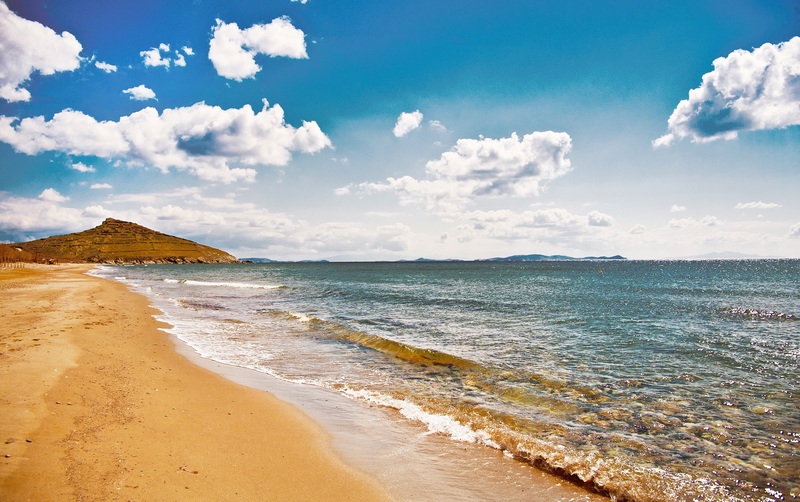 Thus, the beautiful island of Tinos remained attached and secret until very recently. 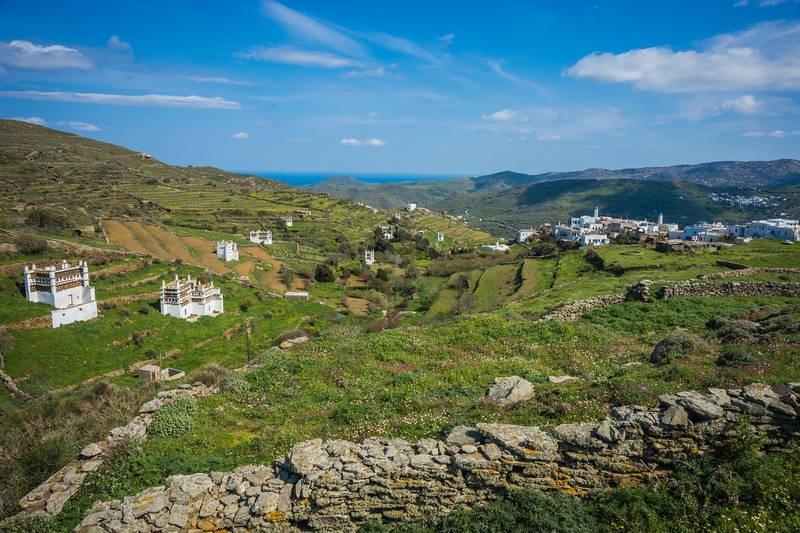 The “heart” of Tinos beats at its villages and not at the port. Driving through the inland you will be amazed by an island of cultural and immense natural beauty. 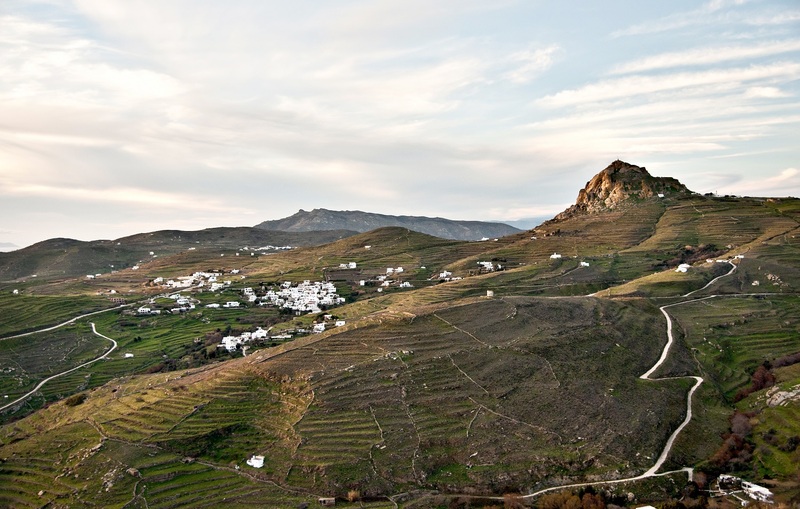 The hilly, barren, rocky landscape blends with the numerous, whitewashed villages and the deep blue of the Aegean sea. 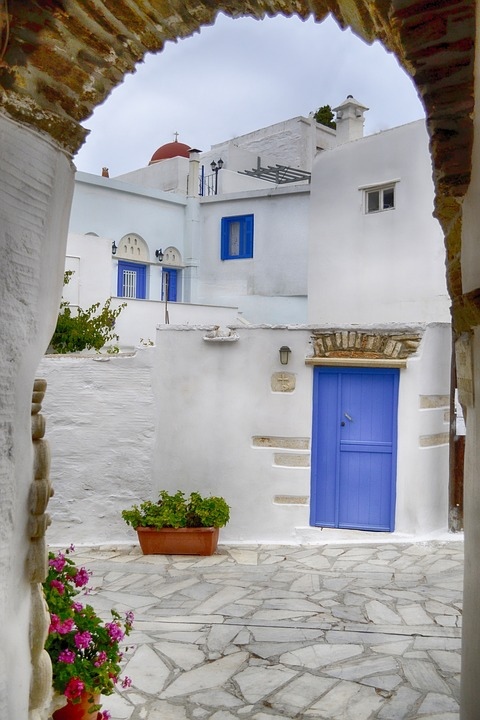 The traditional villages of Tinos make the island (to) stand out among the other Cyclades as their architecture represents the best of the region. Exploring the Tinian villages, some of which are Greek Orthodox and other Roman Catholic, unveils a world of elegant arches, cobbled paths, chapels, and white houses, joined wall to wall. Besides the villages, the Tinian landscape features about 800 dovecotes and 1000 chapels, quite an impressive number itself and especially for an island of 10.000 inhabitants. 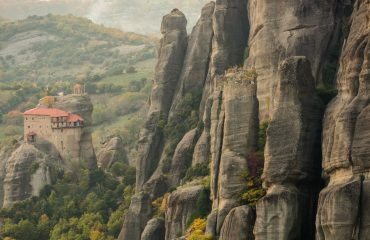 The numerous, tiny, whitewashed chapels, all scattered around the countryside compose a distinguished element of all the Greek islands. But why so many? Surrounded by the sea, it was very common for the Islanders to follow professions related to navigation. Being a sailor was a demanding and dangerous occupation, thus their families used to build chapels and dedicate them to Saint Nikolas, the protector of the sailors, as a way to secure safe travels to their beloved ones. 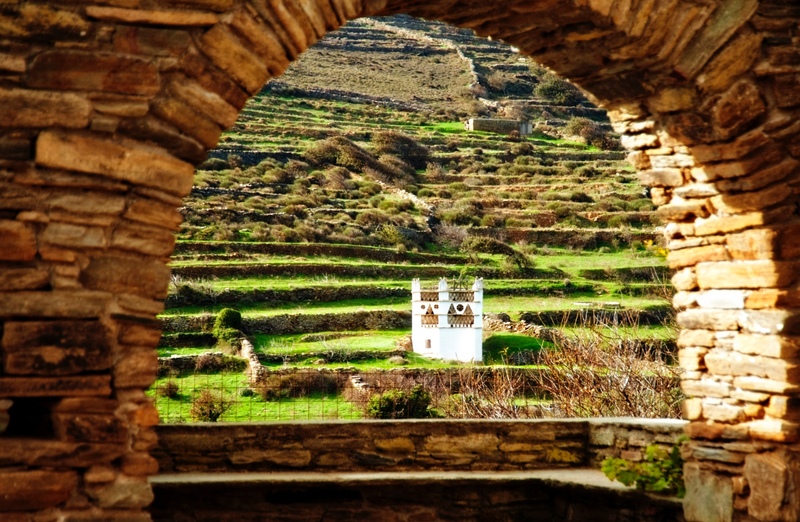 The dovecotes, though, are found only in Tinos. The dove breeding an inheritance from the Venetian occupation served as a protein source while dove’s droppings were used as a natural fertilizer. A dovecote with a capacity of 100 doves offered 200 kilos of meat and 500 kilos of fertilizer both equally important for a rocky island. Today, though, we admire the dovecotes for their architectural significance and not for their practical function. Both the dovecotes and the chapels served, also, as a symbol of aristocracy and for that reason they were elaborately decorated with beautiful natural patterns. There was an unsaid competition among the owners about who has the most beautiful and unusual one which finally made the dovecotes the most notable element of the Tinian folk art. On (the) top of that Tinos has, also, a rich heritage in marble craftsmanship, recently recognized by UNESCO which in 2015 ‘inscribed’ it in its Representative List of the Intangible Cultural Heritage of Humanity. The island has produced some of the greatest modern masters of the craft such as Yannoulis Chalepas (1851-1938). 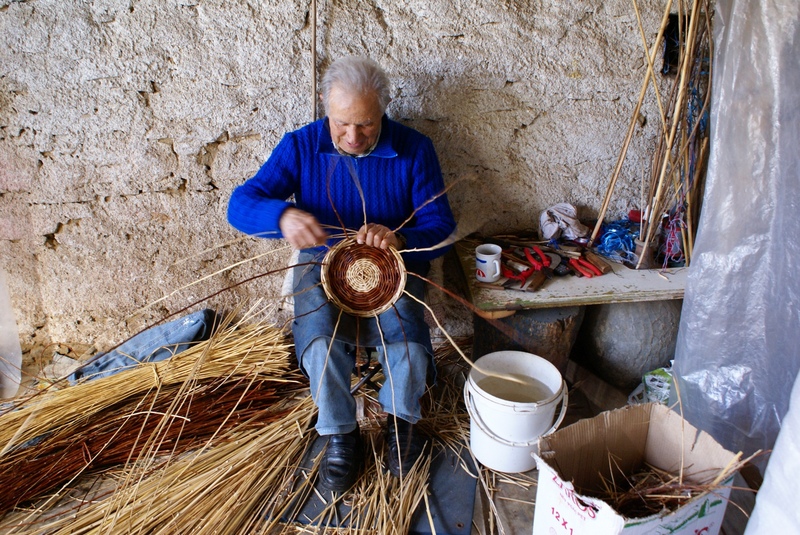 It is also home to the Preparatory and Professional School of Fine Arts that is dedicated to marble working and to the Museum of Marble Crafts, dedicated to this rich history of marble production and craftsmanship, both located in Pyrgos village. 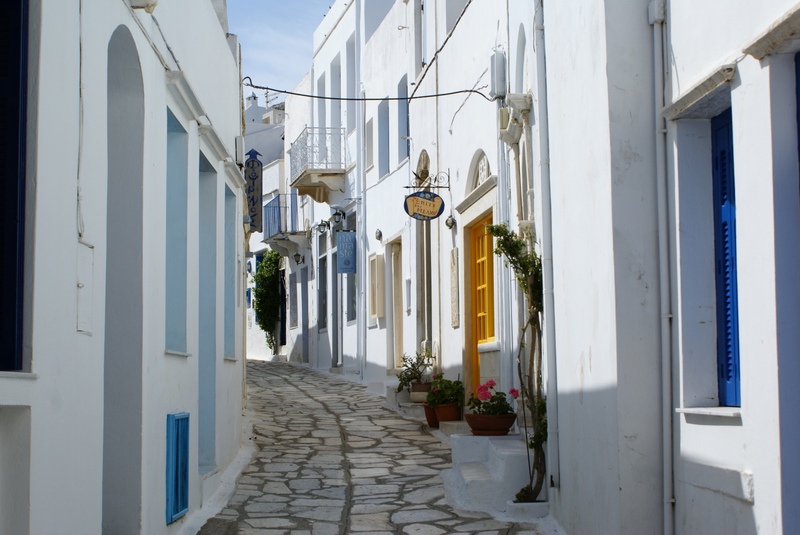 Pyrgos, the largest village of Tinos, is renowned for its marble art traditions. 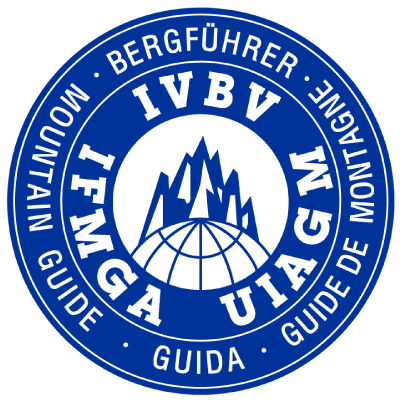 The village itself is like an open-air museum as its houses and shops are richly adorned with marble ornamentation and sculptures while even the bus-stop is constructed almost entirely out of marble. 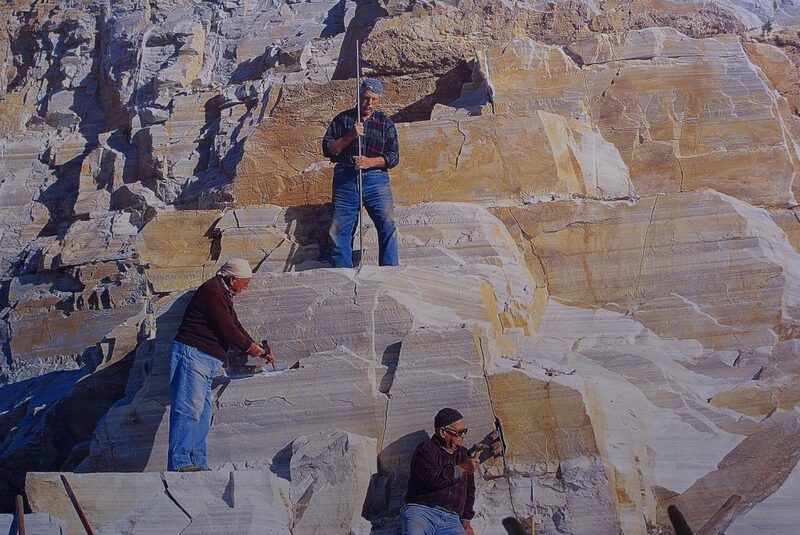 Here marble is not just a natural product, but a way of life. 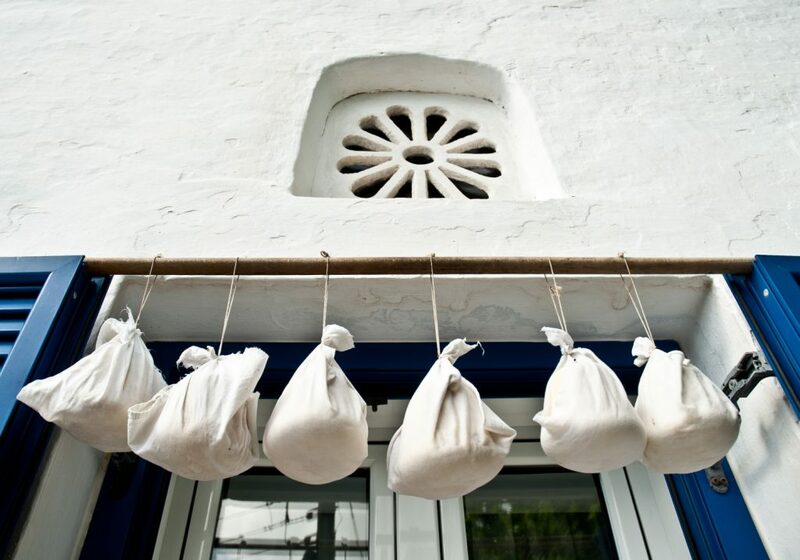 Rich in historic, religious and artistic heritage, Tinos stands out from the rest of the Cycladic islands. 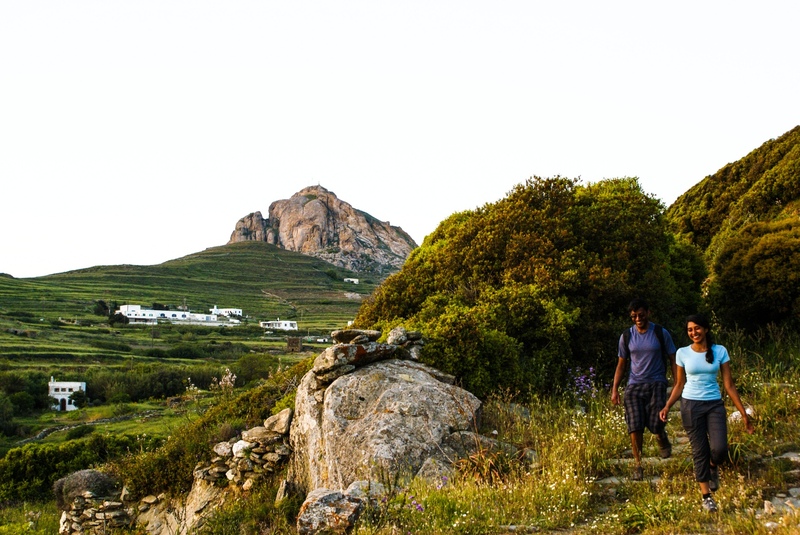 Ornate dovecotes, numerous traditional villages and marble masterpieces blend harmonically with the dry, hilly landscape and all together compose the unique character of this Aegean island. 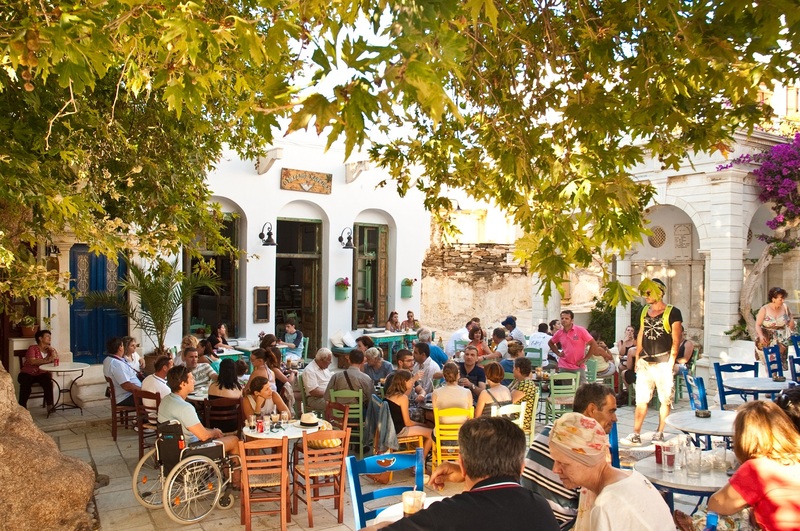 For somebody who seeks authenticity, Tinos is the place to be! 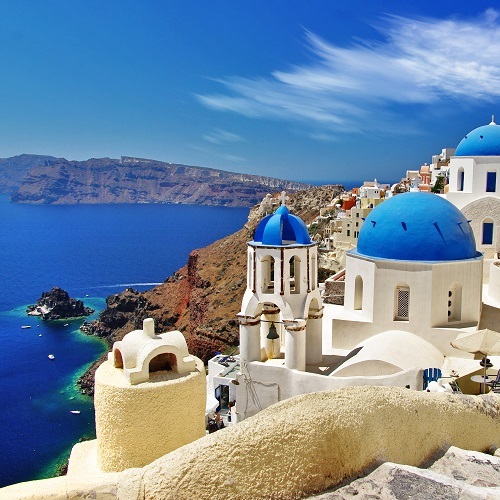 Greece has always been among the most popular holiday destinations worldwide, especially due to its countless amazing islands. 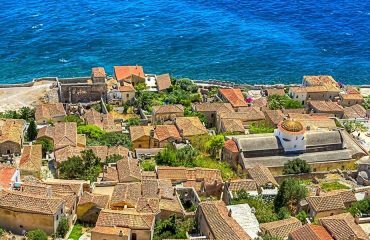 Each of them has something special to offer, and apart from the most popular such as Santorini, Mykonos and Crete there are a number of other islands which are less touristy, yet extremely beautiful and worth visiting.